Ahoy there m’hearties! 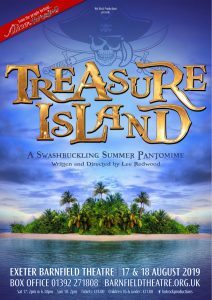 It’s time for a swashbuckling family adventure as Hot Rock Productions invites you to sail the seven seas in this year’s hilarious summer pantomime TREASURE ISLAND! 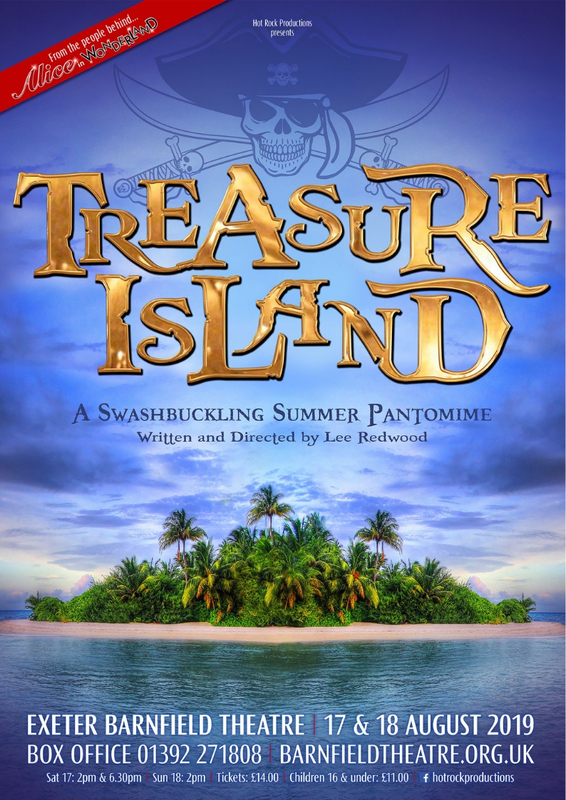 Join our hero Jim Hawkins as he leads the pirate crew on the journey of a lifetime, fights the evil Grace O‘Malley and searches for the buried treasure where he’ll find riches beyond his wildest dreams! But all isn’t plain-sailing as Grace O’Malley has more than a few tricks up her sleeve to thwart our hero and claim the treasure as her own. Only the strongest of Pirates will be able to defeat her…it’ll be up to Jim, his long-suffering widowed mother, Betty Hawkins, and his half-witted brother Silly Billy Bones to save the day and prove that good always triumphs over evil! Complete with swash, buckle and more fun than you can shake a sword at, this is one Panto adventure you’d be shark-bait to miss!